So does it mean that with luck the trailer can still be released today? 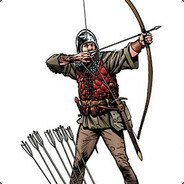 How can balance the archers against melee in rank? I do not know whether this picture is true or not, or when it happened, but I wish there were some official response about this.